Program #CHON-LING018. Recorded in Geneva, Switzerland on July 25, 2013. Every five years the International Permanent Committee of Linguists (CIPL) organizes The International Congress of Linguists (ICL). The Société Suisse de Linguistique (SSL) hosted the 19th congress in Geneva. The theme was The Language-Cognition Interface. 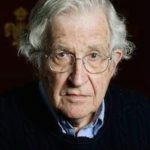 Noam Chomsky gave this jocular keynote address in which he marches through evolving definitions of terms in the field of linguistics.